Perfect decor for a master bedroom or baby nursery. 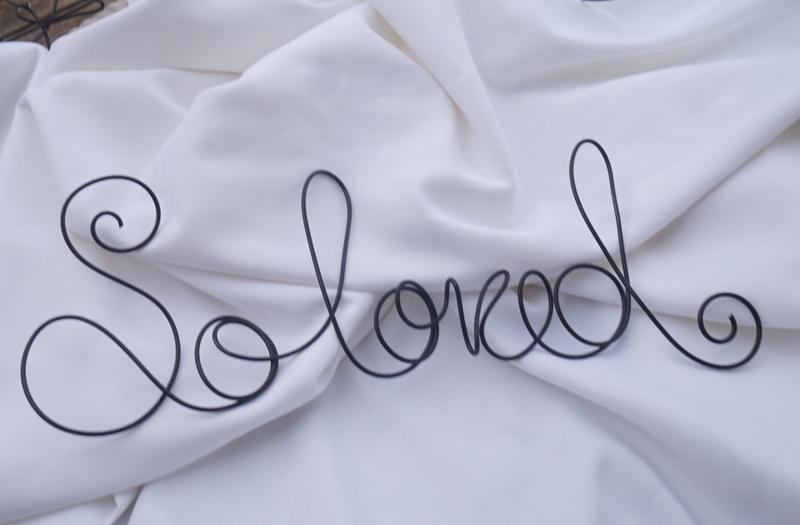 This "So loved" wire sign is very durable. Not wimpy and will not unravel. DIMENSIONS: Approx 6 inches x 18 inches.